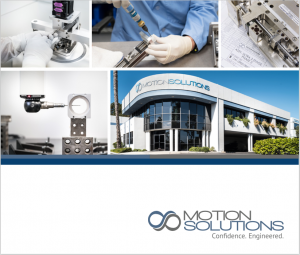 Motion Solutions has an extensive array of in-house manufacturing and test equipment. This enables us to offer customers rapid response and quality. We have spent 60 years serving industry with value-added parts, engineering services, and custom manufacturing. In that time, we have packed our primary manufacturing facility with the tools that our engineers and technicians need to turn out quality product. Our philosophy has always been to invest in the latest instruments and tools. This is part of our commitment to providing cutting-edge capabilities to our customers. Our 36,000 square-foot primary production space includes seven manufacturing bays dedicated to specific operations, including a class-1000 clean room with a class-100 flow bench. With the addition of our 6,000 square-foot location in Northern California, we have the resources and manpower to support multiple assembly projects simultaneously. 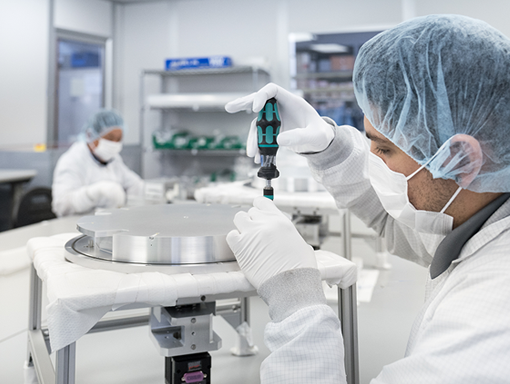 We have a class-1000 clean room with a class-100 laminar flow bench that support projects for the semiconductor, aerospace, and other similarly demanding industries. This controlled environment equips us to tackle contamination-sensitive assemblies. To maintain the clean-room rating, we have installed specialized cleaning equipment and instituted contamination-control protocols for all staff. These capabilities enable us to perform tasks in-house that other organizations might have to send out to specialty job shops. 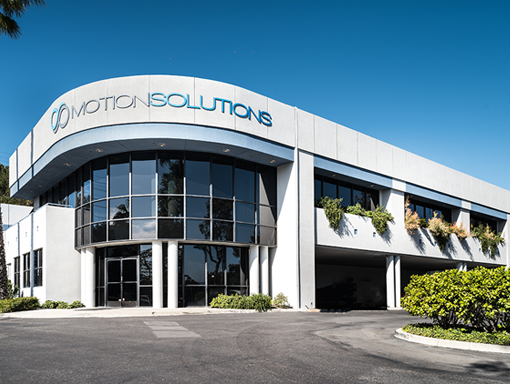 First installed at the suggestion of a customer, our in-house machine shop was the key addition that equipped Motion Solutions to begin providing engineered solutions and custom assembly services to industry. We have full CNC milling and turning capabilities supported by Mastercam software. 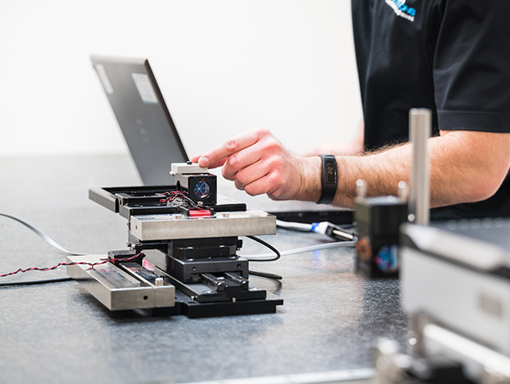 Our expert machinists and experienced programmers enable Motion Solution to support prototyping and quick-turn jobs, as well as select production runs. Having this level of integrated functionality speeds the development process. 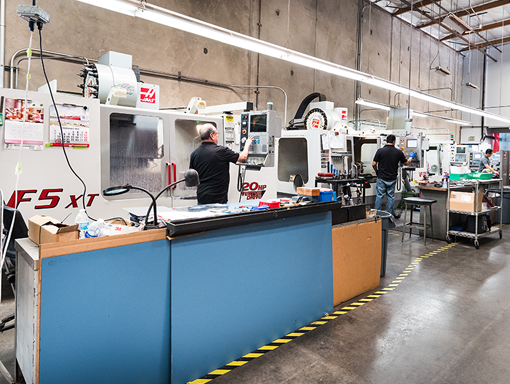 Instead of picking up the phone to make changes, our engineers just walk down the hall to the machine shop. Turnaround is faster and quality is guaranteed. At Motion Solutions, we believe that if you can’t test something, you can’t make it. That’s why we have established a policy of 100% testing. We have always invested heavily in proper measurement and inspection equipment, and it is distributed throughout our production floor. This enables our technicians to confirm the dimensions and performance of every piece throughout the manufacturing and assembly process. By the time a part arrives at the QA department, it typically requires only final system verification testing before shipping. An electronics lab where we test motors, drives, and other electronic components. A laser lab to test angular and positioning accuracy of motion stages. It features an autocollimator and a Renishaw interferometer. Custom test systems and fixtures such as the support equipment for testing a semiconductor wafer-handling robot. Our test lab staff has decades of experience in industrial test and analysis. This gives us the opportunity to evaluate prototypes and other projects in our engineered solutions department throughout development. The testing helps validate the design and guide the engineering process. Verification testing confirms that the design meets specifications. Once it moves to manufacturing, production-level testing takes place. This involves comprehensive evaluation of every piece we build. Depending on the situation, we conduct the tests using either the customer’s drives and controls or our own drives and controls. Production units undergo a detailed process that includes burn in of any electronics, firmware upload, and a full system test. For customers who have encountered problems with their own products, we offer diagnostic testing and failure analysis. In addition to physical evaluation, we can do failure mode and effects analysis (FMEA) to determine root cause of failure. We offer these services for parts, subassemblies, and full machines.